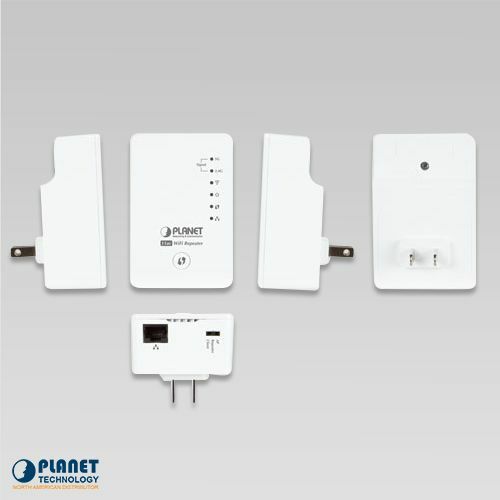 PLANET’s WRE-1200, an 11ac Dual-band Wi-Fi Range Extender with universal wall plug design, is case-shaped, thus making it easy to install and connects to your router wirelessly. 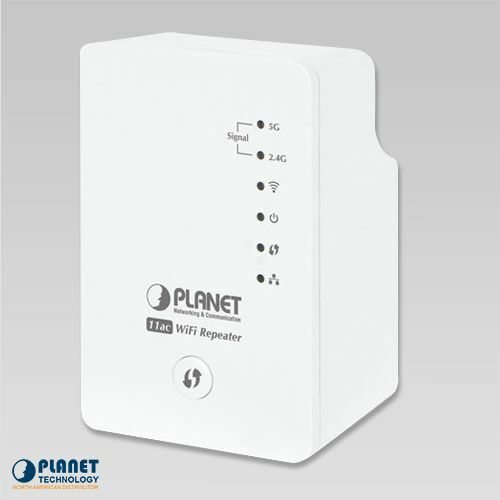 PLANET’s WRE-1200 is an 802.11ac Dual-band Wi-Fi Range Extender with an easy to install universal wall plug design, which connects to your router wirelessly. The WRE-1200 supports Gigabit Ethernet connectivity and conforms to IEEE 802.11a/b/g/n/ac Dual Band standard technology. 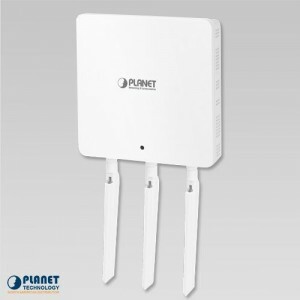 It can provide a wireless speed of up to 300+867Mbps which is 16x faster than the 11a access point at 5GHz frequency and 5.5x faster than the 11g access point at 2.4GHz frequency. With concurrent dual-band Wi-Fi transmission capability, the WRE-1200 is more flexible than a traditional repeater that only utilizes single band for range extension. 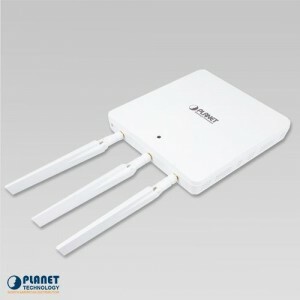 It can quickly and easily extend high-speed 11ac 5GHz and 11n 2.4GHz wireless networks simultaneously. 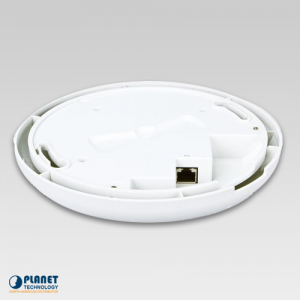 Dead zones can be eliminated with the WRE-1200 because it can double the Wi-Fi coverage. Plug the WRE-1200 directly into an electrical outlet and double the signal coverage of your Wi-Fi network for better Wi-Fi quality across different rooms or multiple floors in your home. 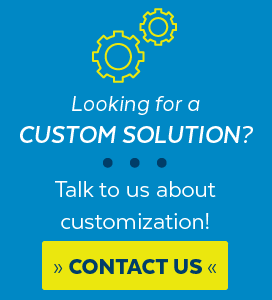 The WRE-1200 wireless network can be set up quickly without software configuration. The unit can operate in various applications due to the hardware mode DIP switch; modes include AP, Repeater or Client. 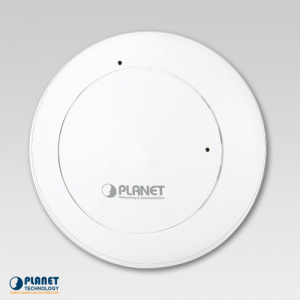 With various operation modes, the unit can be quickly deployed in any place that does not have a good wireless signal. 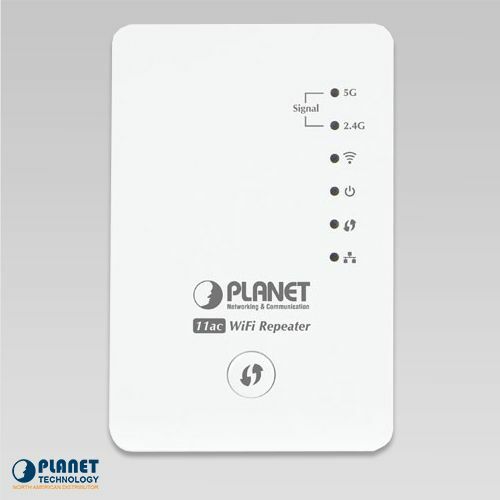 Furthermore, it can extend the existing wireless network coverage by utilizing the dual frequency bands. The dual bands not only strengthen the Wi-Fi signal but also increase the efficiency of 11ac high speed at farther distances, thus providing a better user experience. In order to simplify security settings for home and SOHO networks, the WRE-1200 supports Wi-Fi Protected Setup (WPS). 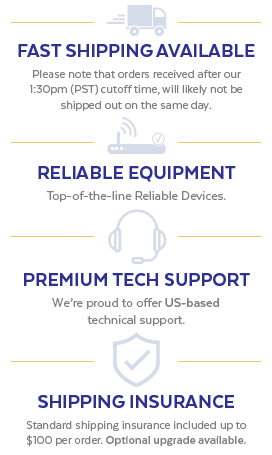 Just push the WPS button and the secure connection between the WRE-1200 and the existing wireless router can be built immediately, which offers users a convenient and fast method to construct a secure wireless network. Designed in the shape of a integral male wall plug (type of power pin required), the WRE-1200 is easily plugged into a wall outlet for wireless access anywhere. The WRE-1200’s sleek and modern brick-sized form factor will blend into any space. By observing the smart signal indicator, users can check the current signal strength and optimize their wireless performance with ease. Europe -- ETSI: 36, 40, 44, 485GHz channel list will vary in different countries according to their regulations.